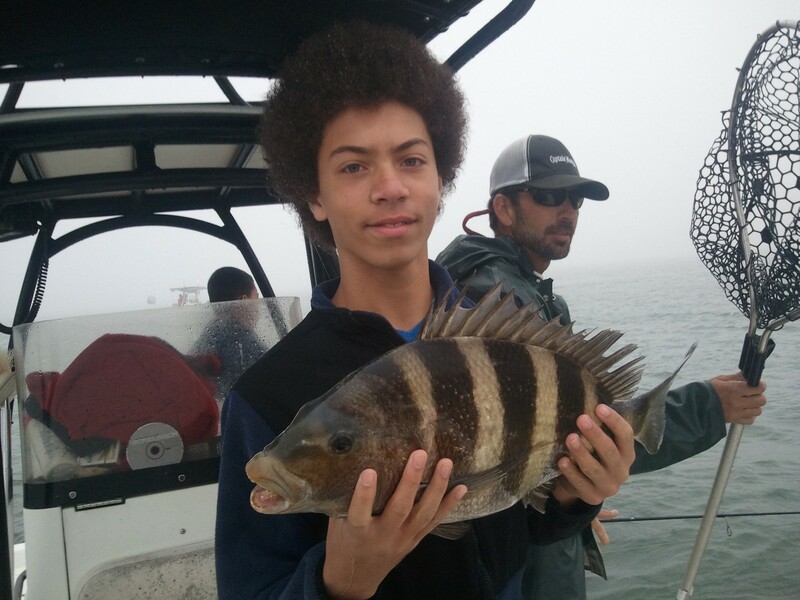 We actively have been building fish habitat off our Alabama & Florida shores since the 1950’s and now our waters are home to dozens of reef fish species that can be caught year round including amberjack, snappers, triggerfish and grouper. 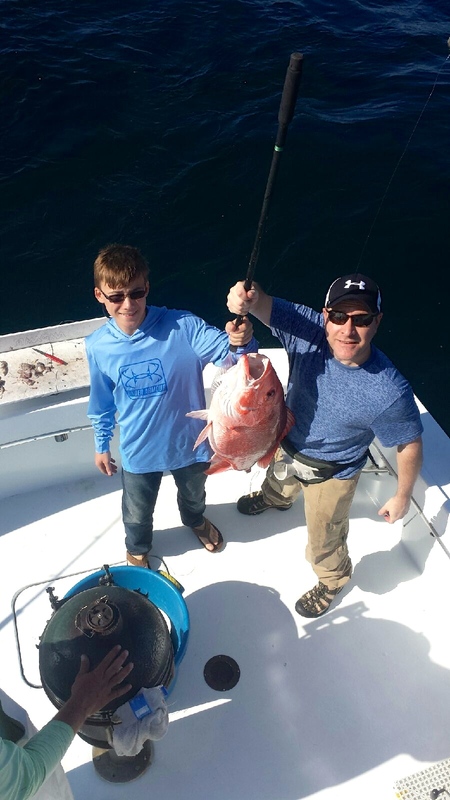 Our reefs begin near shore and continue out nearly 50 NM’s creating thousands of ideal fishing spots. Our captains will travel to the reefs and hoover above will all of the angler are able to drop their baited lines for a nibble from below. 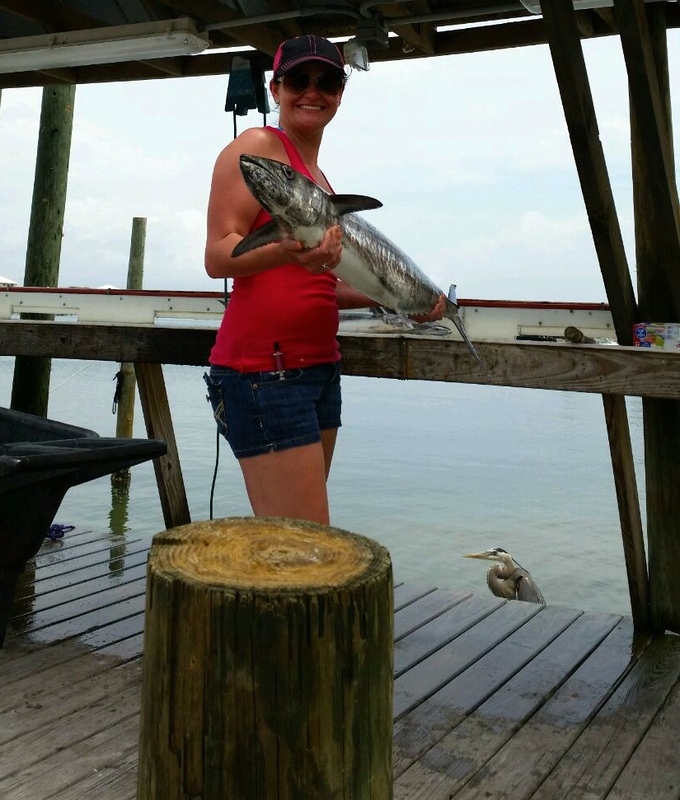 What’s Biting now in Gulf Shores AL Orange Beach AL & Perdido Key FL? Our docks are buzzing with Spring Anglers coming in from a day of fishing in the Gulf of Mexico, and the fish have been biting! 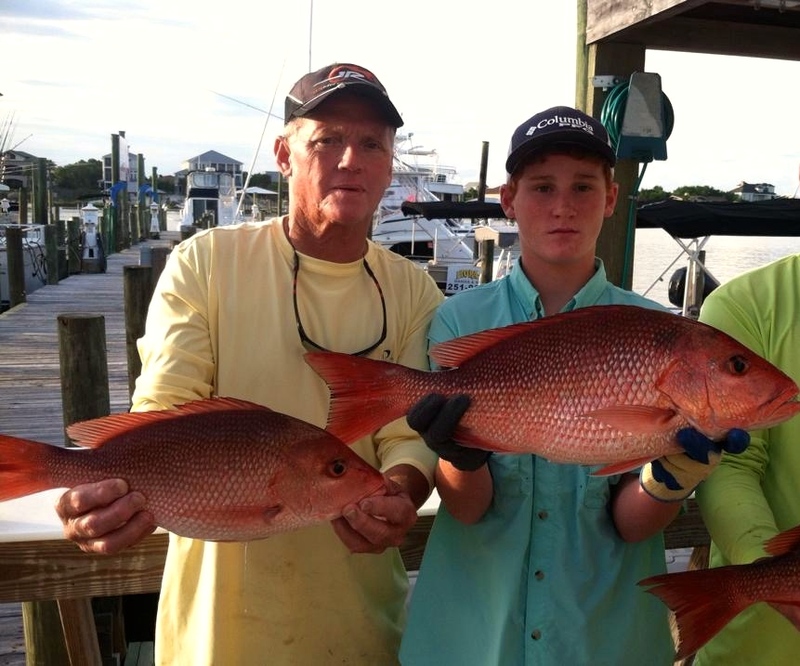 Snappers, triggerfish, amberjack-they are all being reeled in. There is nothing quite like the fight of reeling in a 40 lb. 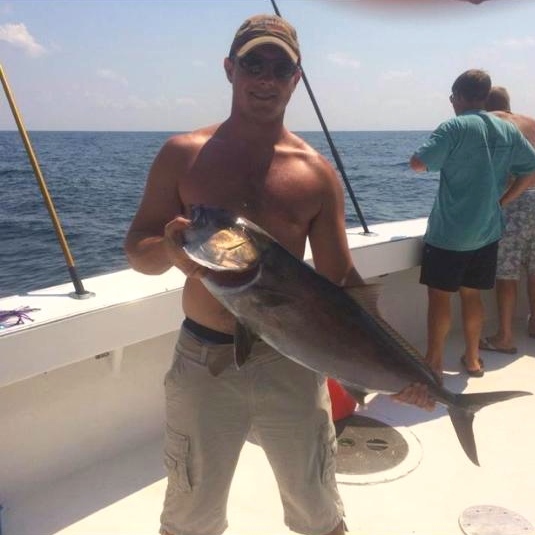 amberjack! 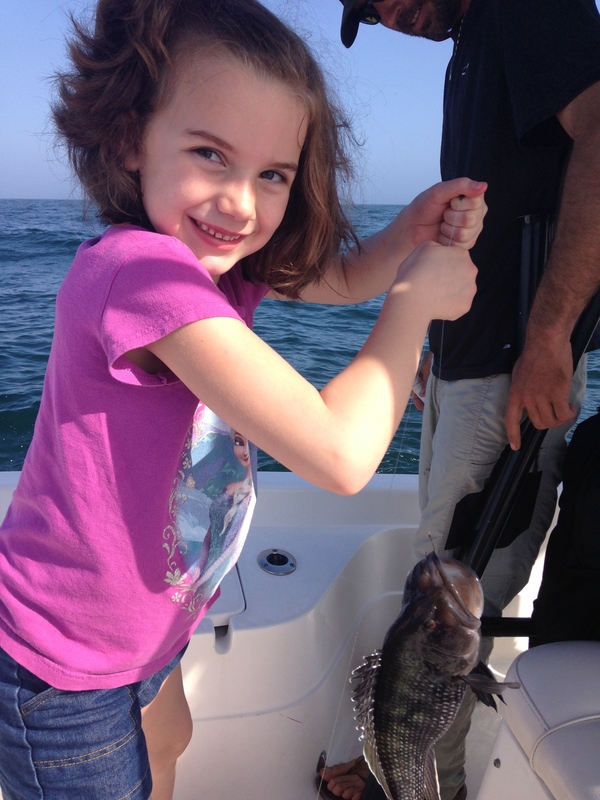 AAA Charters captains can take you there, and mates are on hand to assist you during your fishing adventure. 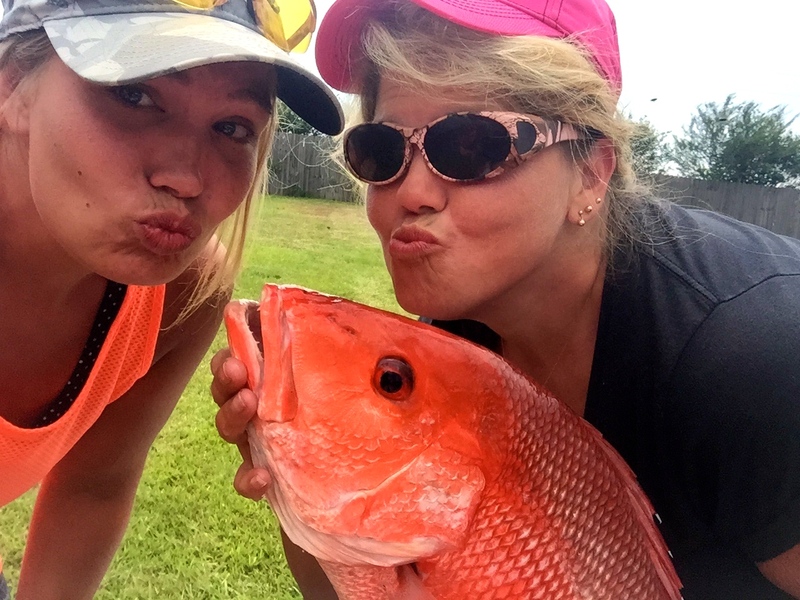 Reeling in BIG Red Snapper deep sea fishing along the AL Gulf Coast Spring 2015! 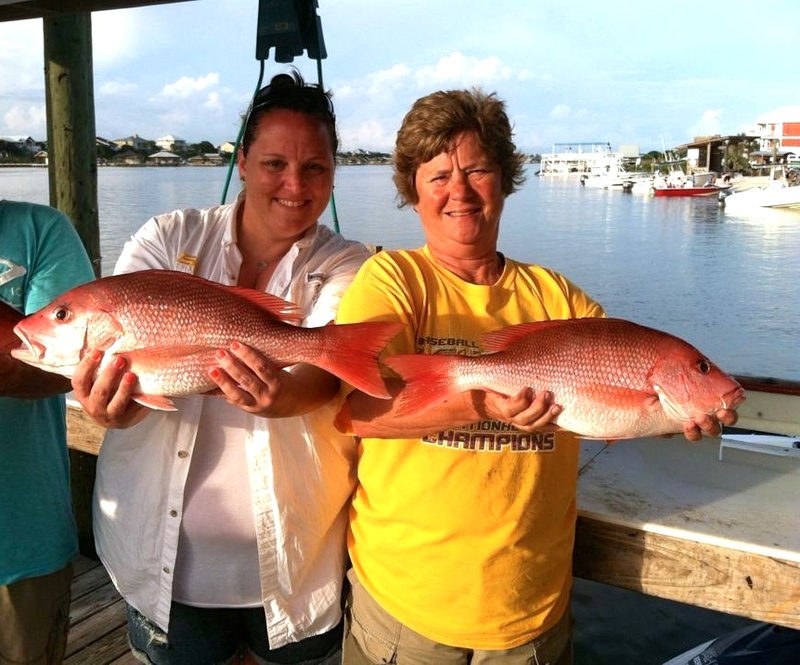 We can arrange private fishing charters for all size groups from the largest selection of charter boats along the AL Gulf Coast. 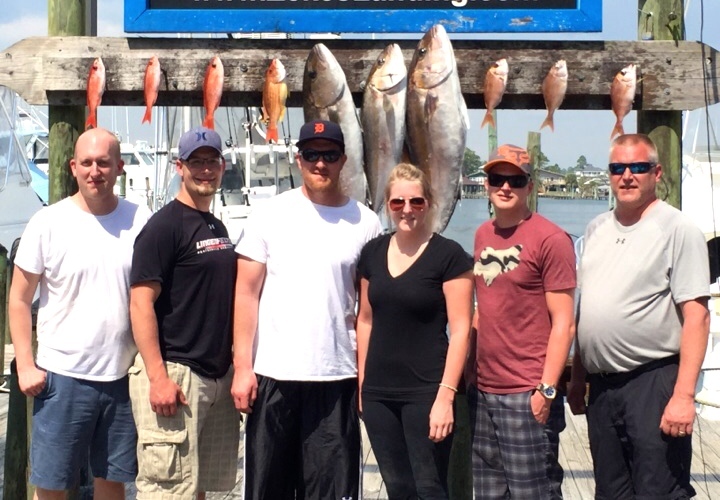 AAA Charters also specializes in coordinating shared expense fishing trips (also known as semi-private or walk-ons) by matching smaller groups of anglers together to build a charter fishing trip. 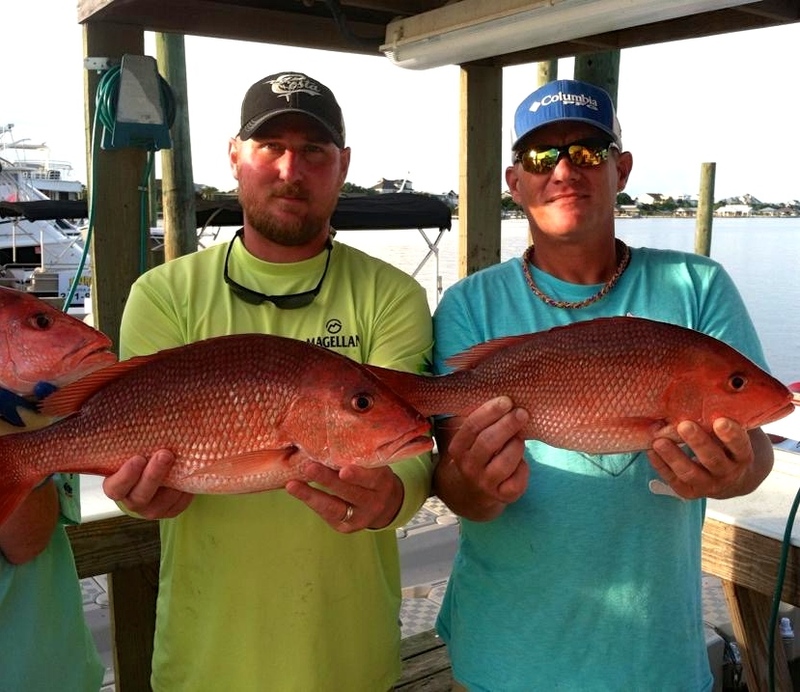 Orange Beach AL (just minutes from Gulf Shores) is also the homeport to several headboat fishing charters (also known as party boats) offering affordable half day and full day fishing charters that are enjoyed by thousands of anglers each year. 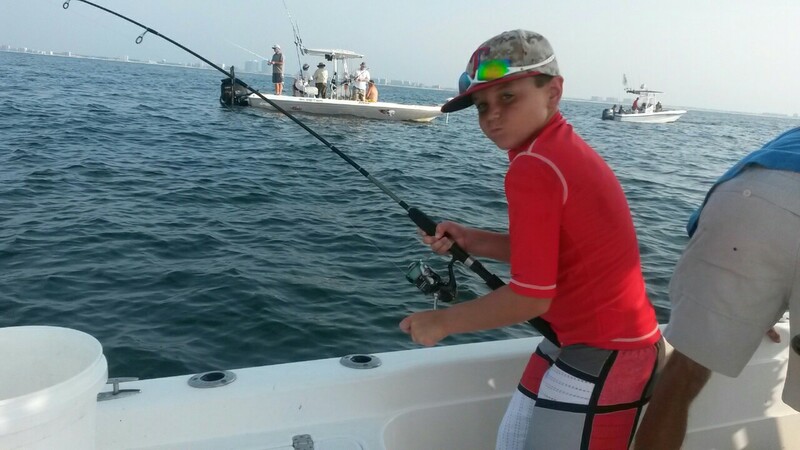 Give AAA Charters a call and we can discuss your fishing options. The choice is yours. 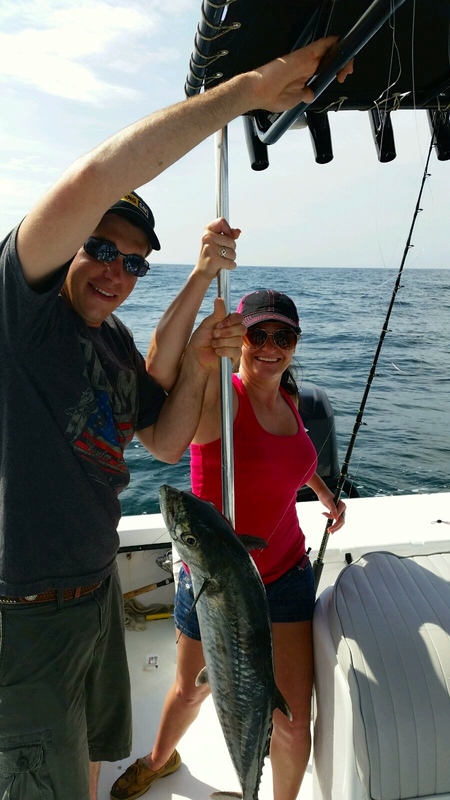 These Michigan anglers enjoyed a day of deep sea fishing on the Jamie G Spring 2015. Nice Jacks. 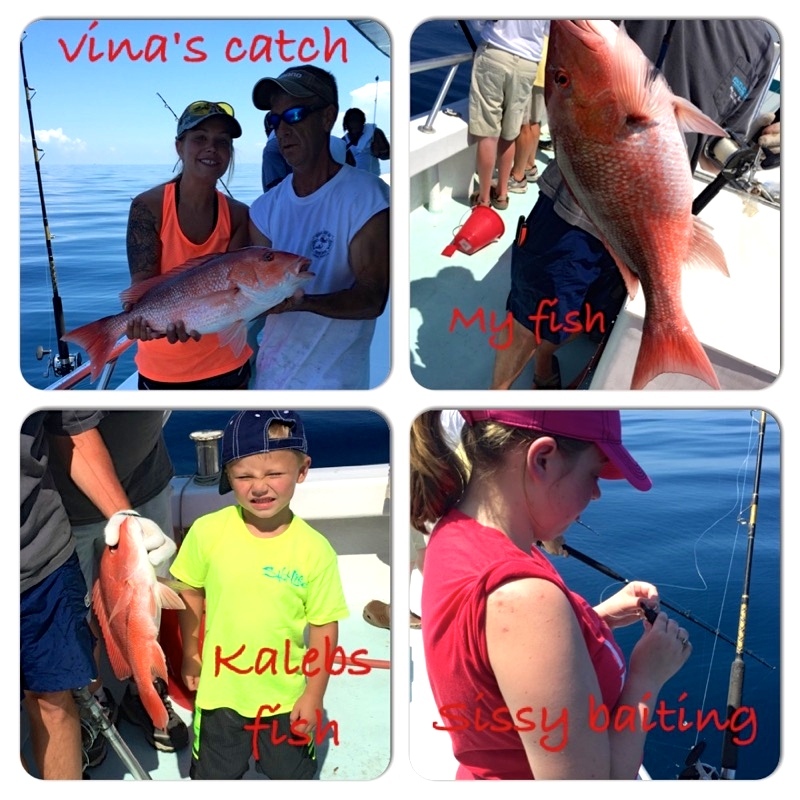 This entry was posted in Fishing, News and tagged alabama bottom fishing, alabama deep sea fishing charters, alabama fishing tours, alabama headboat fishing charters, best alabama charter boats, deep sea fishing al gulf coast, deep sea fishing charters gulf shores AL, family fishing charters in gulf shores al, gulf of mexico deep sea fishing charters, gulf shores al bottom fishing, gulf shores al charter boats, gulf shores al offshore fishing charters, gulf shores al party boat fishing, gulf shores al things to do Spring Break 2015, gulf shores al walk on fishing charters, offshore fishing charters orange beach al, orange beach al charter boats, orange beach al deep sea fishing charters, orange beach al headboat fishing trips, orange beach al offshore fishing charters, orange beach al things to do Spring Break 2015, private fishing charters AL Gulf Coast, snapper fishing gulf shores al, what's biting in orange beach al, whats biting gulf shores al on April 3, 2015 by AAACharters Team. 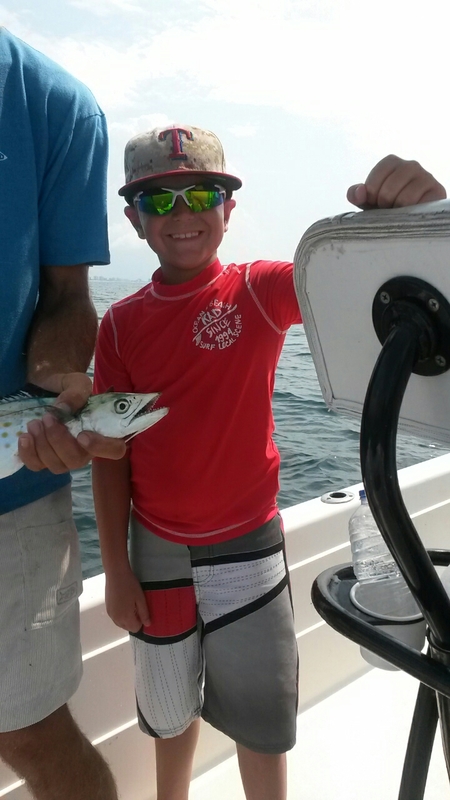 Mackerel BITE IS ON along the AL Gulf Coast King & Spanish Mackerel are Biting! 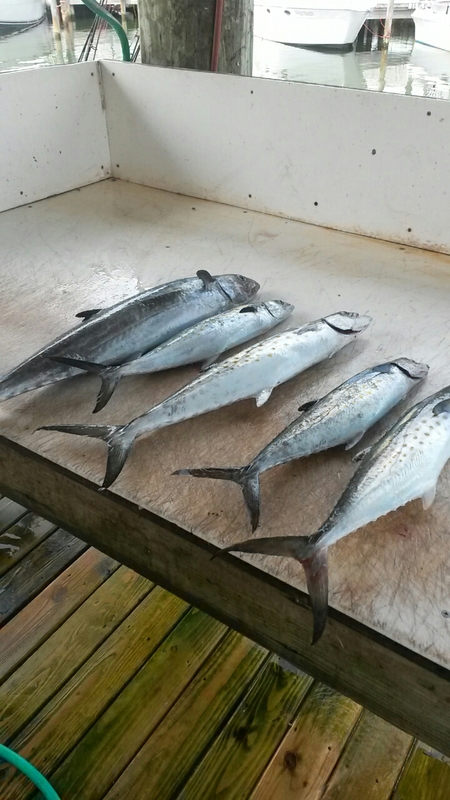 Gulf Shores Near Shores Fishing Charters – THE MACKEREL BITE IS RED HOT! 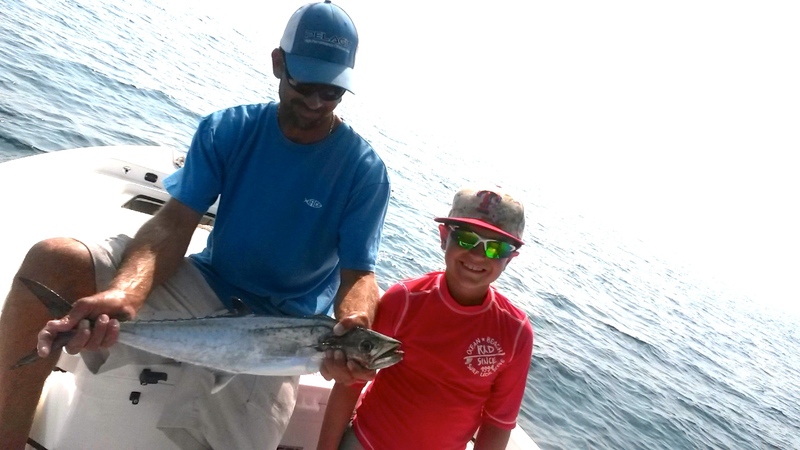 The Gulf of Mexico coast along Alabama beaches have been bustling with anglers landing king and spanish mackerel! 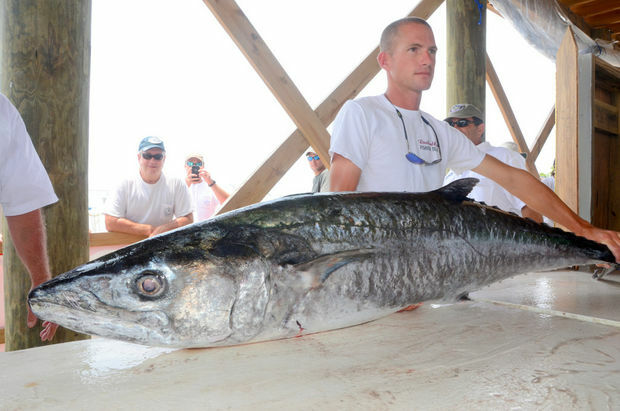 In fact a new state record king mackerel was landed last week at 69.99 lbs. 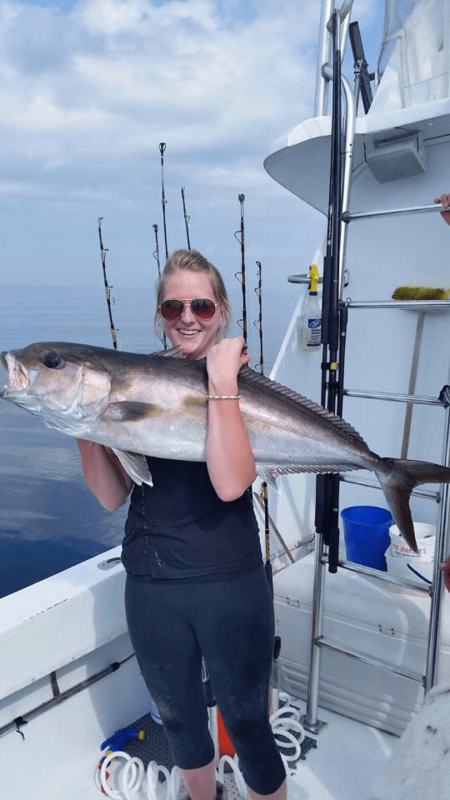 The fish are here and we are ready and able to take your family and friends near shore fishing along our beaches so you can experience the excitement of fighting these fast moving pelagic fish. 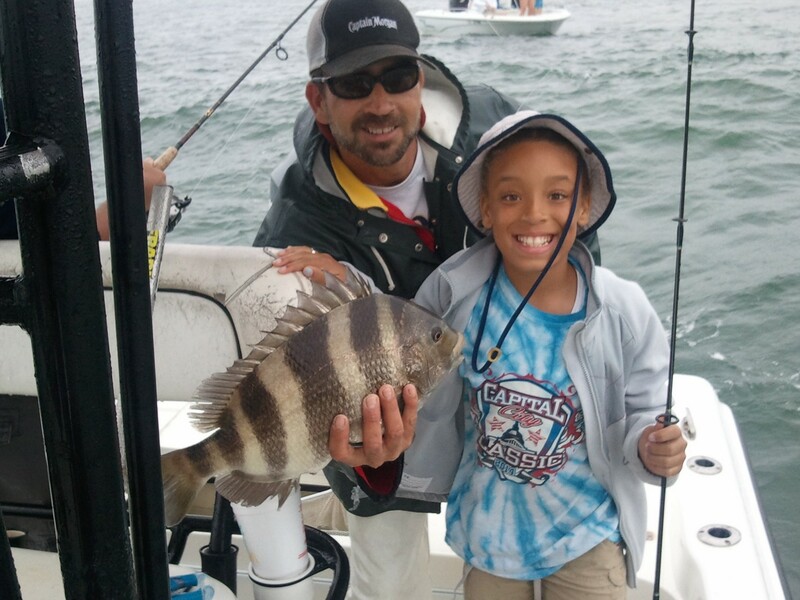 4 Hr & 5 Hr Trolling trips have become increasingly popular fishing charters for parents fishing with children & anglers that are interested in fishing, but not being on the water all day. 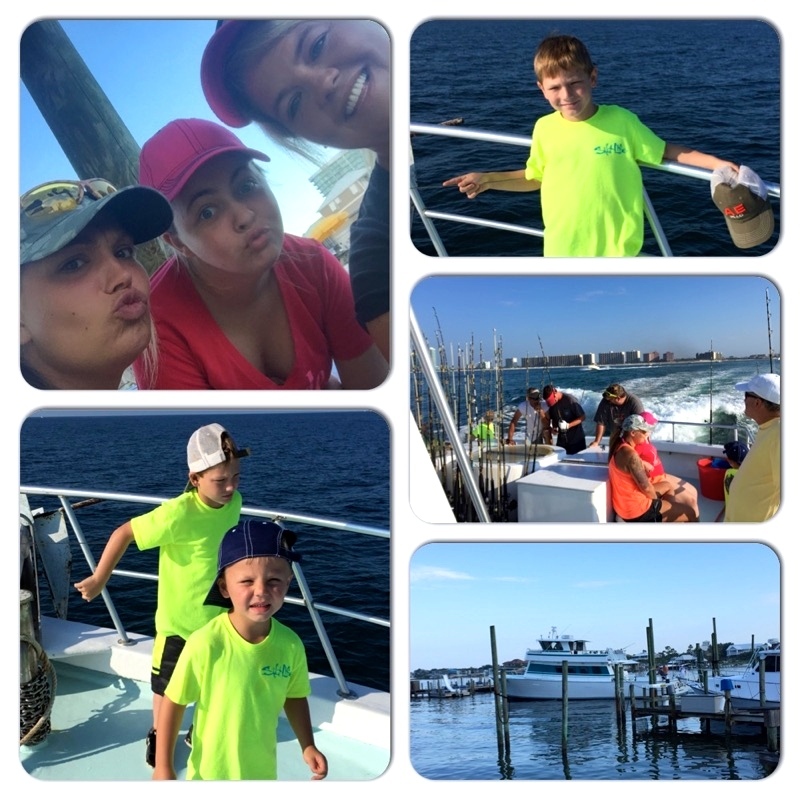 Many of the trips arranged by AAA Charters this week were for families with children that were deep sea fishing for the first time. 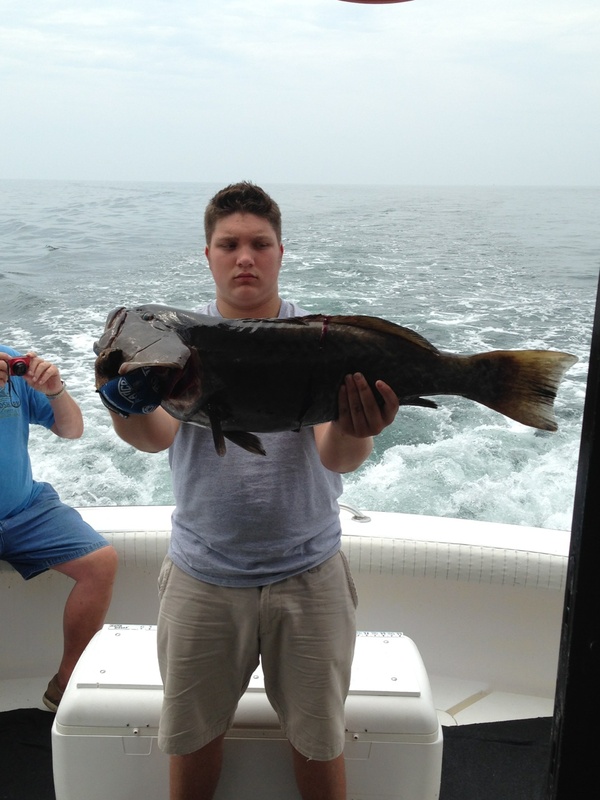 The majority of the time during near shore fishing charters is spent trolling along the beach for a bite. 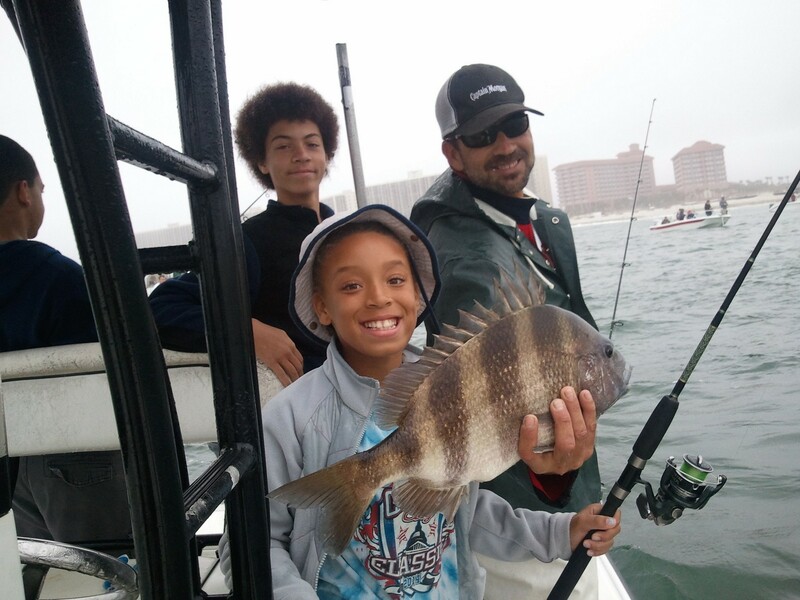 Our inshore captains and offshore mates are attentive to showing anglers how to spot and land these fish. 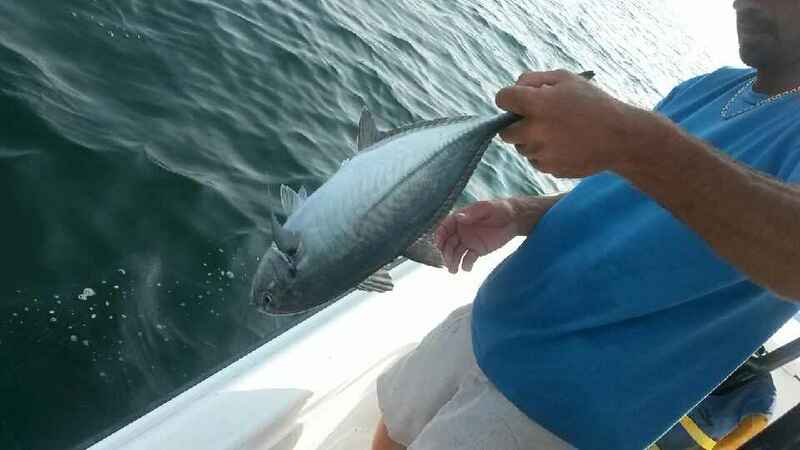 Gulf Shores Near Shore Fishing Charters focus on trolling for pelagic species in the waters within the view of the sugar white shores of Orange Beach, Gulf Shores, and Fort Morgan that are abundant with spanish mackerel, king mackerel, bonita and redfish (red drum). When trolling the vessel is moving, pulling a few baited lines behind the boat for the fish below to bite. 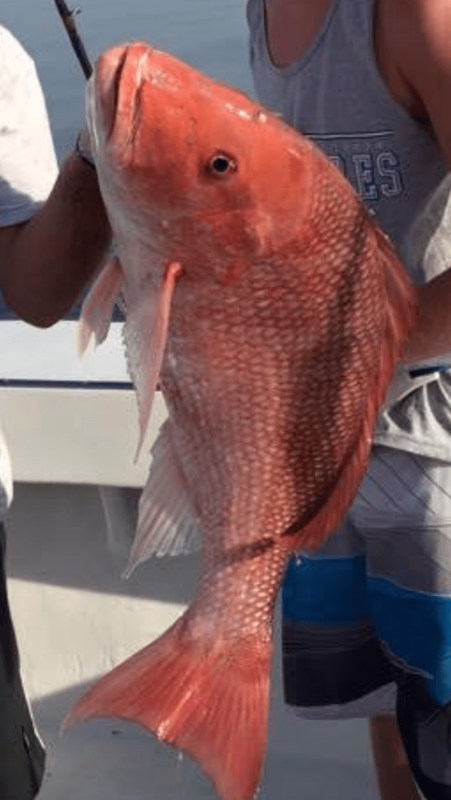 Near Shore Gulf of Mexico fishing offers a great introduction to deep sea fishing along the Alabama Coast and are available year round. 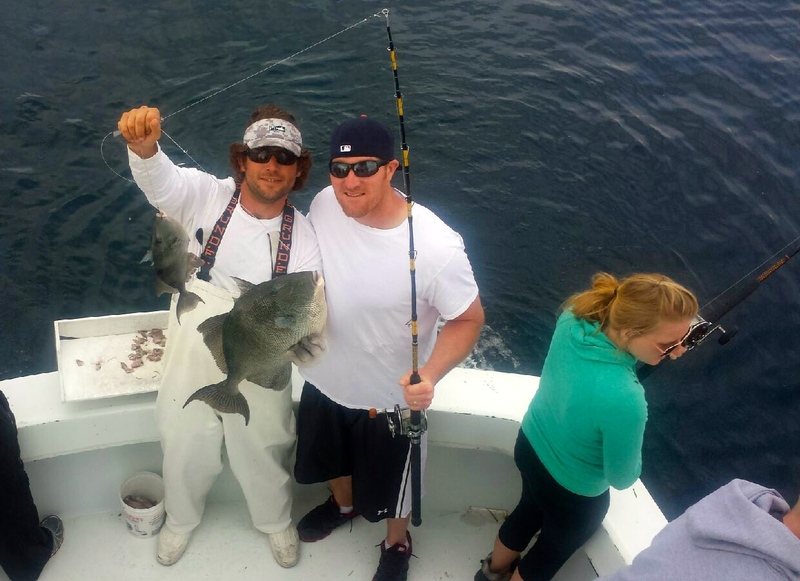 Click here to view the Near Shore Trolling Fish we catch. We have a wide variety of boats available for-hire to fit all size groups and budgets. 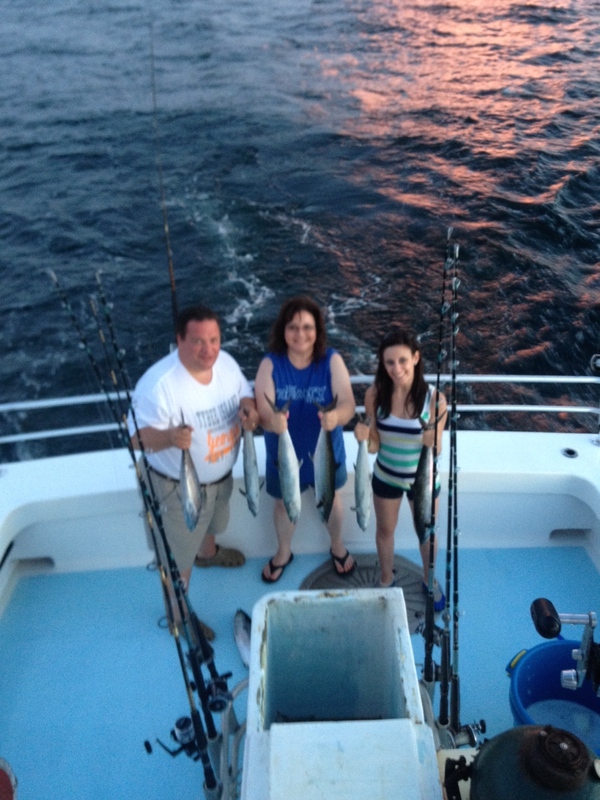 AAA Charters also offers semi-private fishing charters for those that prefer to share the expense and fish with others. Call AAA Charters (251)609-2525 to discuss your near shore trolling options and availability. 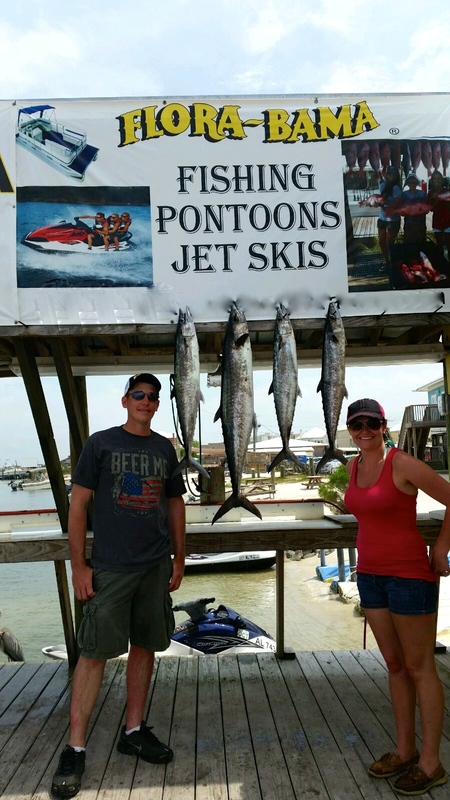 This entry was posted in Fishing, News and tagged affordable deep sea fishing, alabama gulf coast fishing, alabama near shore fishing, alabama state record king mackerel, family fishing charters in gulf shores al, gulf of mexico mackerel, gulf of mexico trolling trips, gulf shores family fishing charters, gulf shores fishing near land, gulf shores near shore trolling trips, gulf shores private fishing charters, mackerel fishing AL gulf coast, offshore fishing gulf shores al, orange beach al family fishing tours, orange beach semi private fishing charters, what we catch gulf shores al, what's biting along the AL gulf coast on July 25, 2014 by AAACharters Team.